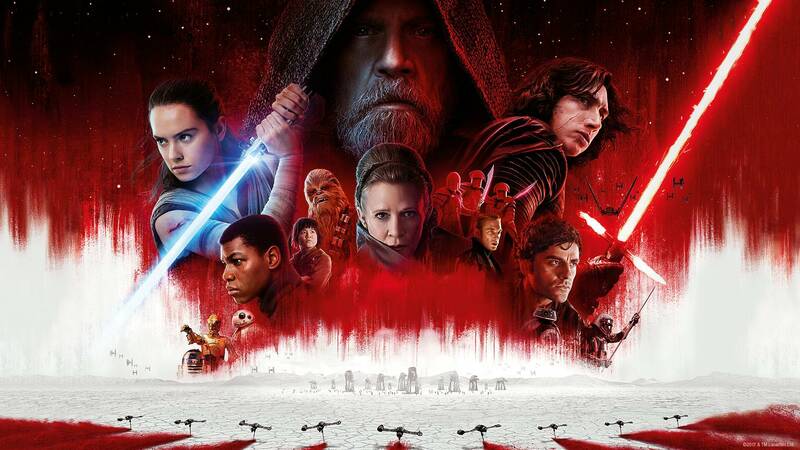 In what seems to have become my new favourite biannual Christmas tradition, Star Wars is back with another instalment of its main franchise series. Back in 2015 The Force Awakens reignited by passion for the galaxy far, far away, and last year's first spin off picture Rogue One might just be one of the world's most unexpected favourite Star Wars film to date. So it's safe to say that Disney have done a rather stellar job of righting the supposedly horrendous wrongs of the prequel trilogy so far. Could they continue this amazing streak with The Last Jedi? Yes, yes, yes a THOUSAND times yes. There was never any doubt that this films would pick up beautifully right from where The Force Awakens left off. With Rey (Daisy Ridley) making contact with the long lost Like Skywalker (Luke Hamill) and Finn (John Boyega), Poe Dameron (Oscar Isaac), General Leia Organa (Carrie Fisher) and co. engaging in intergalactic battle with ships and troopers of the First Order. Bridging the gap between the two plots is Kylo Ren (Adam Driver), still torn between mastering the dark side and the deep call he has to go toward the light. These plots are intertwined in a thrilling tale of heroism, self discovery and history altering decisions. 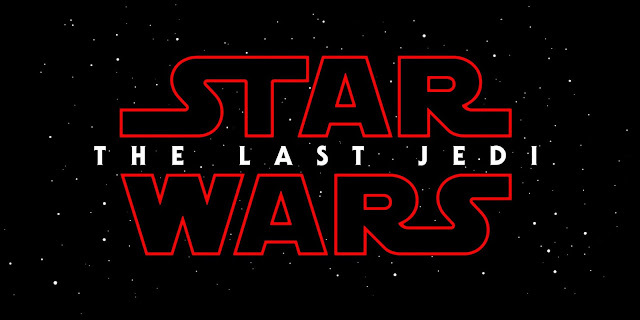 The film has everyone that anyone could possibly want in a 5-star Star Wars film. Stunning set piece action sequences, genuinely likeable characters, effective humour to break the constant tension, obstacles to confront both large and small and of course some incredible plot twists here and there. I love love loved it, but it must be said - this film is not completely flawless. Sure, some scenes were more effective than others and some side plots more engaging than some, but I only have to think about painfully long pod race scenes and any small sins are soon forgiven. As always with any widely loved film, there are few wider criticisms that some of the humour didn't fit with the universe and some characters were 'not-Star-Wars-ey-enough'. But I have to say, it pretty much all worked well for me. Those who seek constant perfection from anything are setting themselves up for inevitable disappointment. My head says 9 out of 10, but my heart won't let me give anything less than full marks. Together they share some great chemistry and I'm reallllllly excited to see where it goes. This new generation of actors continues to bring beauty in every single scene. 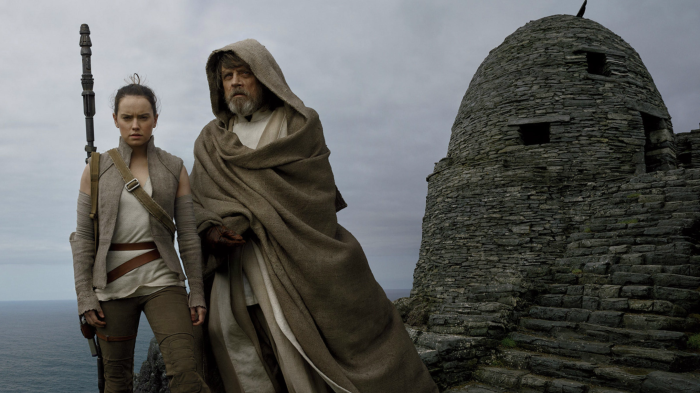 As Rey, Daisy Ridley is carving out a place for herself among icons for the age. The powerful mixture of strength and vulnerability that Ridley balances makes for a relatable and beautiful character. Joining her as a from runner is the amazing Adam Driver as Kylo Ren, giving a much more involved and heart-throbbing performance as we see more of Ben Solo emerge from the dark. Not to be ignored is the chemistry that Ridley also shared with Mark Hamill. As the former poster boy of these great films, Hamill arguably his best performance as the iconic Luke Skywalker. Transformed into a reluctant Obi Wan Kenobi figure, Luke's old enthusiasm and heroic-nature is transformed into a bitter fear and dread. It takes the infectious passion of Rey to bring him back from the beastly wilderness to play his essential role. Oscar Isaac as Poe Dameron continues to be implusive and stupid in all of the best ways, taking over Harrison Ford's Han Solo cheeky role with relish. John Boyega as Finn and new cast member Kelly Marie Tran as Resistance worker Rose Tico both give great performances, even though they are given the task that is arguably the least impactful to the film. 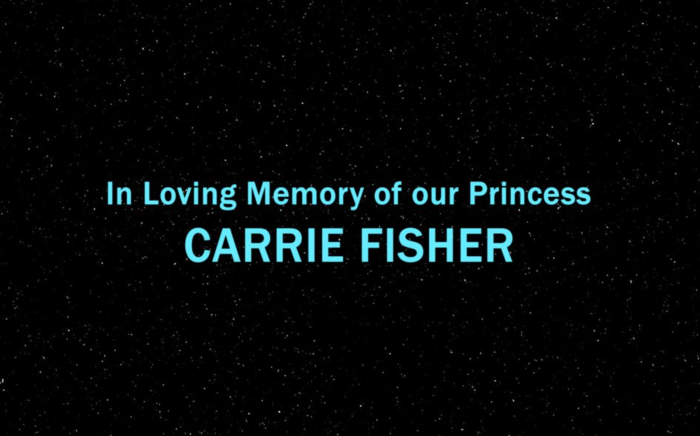 The film though for me, belongs to the late great Carrie Fisher. Fisher is at her kickass best through the course of the film (except her Marry Poppins moment floating through space). Given the tragic even of her death, each and every scene feels like a bittersweet goodbye. The world is sad to say we will never see Leia on the big screen again - both Fisher and her character will be sadly missed. Ultimately, nothing gives me the childish, wistful sense of wonderment than these new Star Wars instalments have been giving me over the past two years. Overall, this film is a triumph the only problem being that we have to wait so long for the next.